Importing from China – How much do you know? Are you a China sourcing expert? Do you have the knowledge and expertise you need for successful sourcing and importing from China? Can you ensure quality product? Take the China Challenge now! Wow, you’re a China champion! Congratulations on a perfect score. Looks like you know enough to source and import from China all on your own! But if you’re getting bored doing it, or you’d like more time to concentrate on other things, why not get in touch and we can do it for you. Looks like you’ve got some experience, but there’s always more to learn. If you’d like to work with the experts, get in touch any time. We love clued-up clients who appreciate the work we do for them! Hmmm… Did we uncover some gaps in your knowledge? The process of sourcing and importing isn’t as easy as it looks at first glance. If you’re planning to do it alone, we suggest some more research before you start. Or you might want to enlist the help of the experts. Why not get in touch? The Yiwu International Trade Mart (Yiwu City, Zhejiang Province), covers 4 million square metres, with over 100,000 suppliers from 40 or more different industries. It’s like a permanent trade fair. But it’s so huge, you may get lost! To help you get more out of a visit to Yiwu, Hornet Group can assist with organising meetings and interpreting for you. Find out more about our sourcing tour services here. The deposit payment reassures a Chinese factory that you are a serious buyer and it’s worth investing in you. But that needs to be balanced against your need to retain negotiating power until you’re sure the product is up to quality standards. Chinese New Year is a major holiday which can disrupt sourcing leadtimes as businesses are all closed. Which month does it usually occur in? Chinese New Year is calculated according to the Chinese lunar calendar – so from a Western perspective, the date changes every year! However, it’s always between 21 January and 20 February. Officially, there is one week’s holiday at Chinese New Year. Many Chinese take this opportunity to travel back to their family homes, which are often far away. Unofficially, businesses close for much longer – anything from 2 to 4 weeks, or even longer if business is quiet. It’s like Christmas in Australia. There may only be 3 public holidays (Christmas Day, Boxing Day and New Year’s Day), but many businesses are closed for up to two weeks. And even if they open again, lots of staff are away until Australia Day at the end of January. So for six weeks, business is closed or on go slow. The same thing happens in China around New Year. China also experiences the same issues either side of the New Year holiday. A mad frantic rush to get things done before the close-down, and a backlog to work through when business finally gets back to normal. So it’s important to recognise and plan for this disruption. There’s no point in negotiating prices, reviewing samples or dealing with a supplier in any way at all – unless you’re sure that the supplier is legal and credit-worthy. So the first step is always to check out the company you think you’re dealing with. 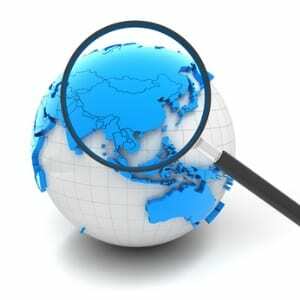 Find out more about selecting and auditing suppliers in China here. It is always better to source direct from a Chinese manufacturer than from a wholesaler or distributor. True or false? Manufacturers are usually a better option than wholesalers or distributors – but not always! If you’re looking for a standard product without customisation (or with minimal customisation such as a brand logo), but you don’t need very big quantities, then manufacturers may not be interested. That’s why wholesale commodity markets like Yiwu exist! The pre-shipment inspection acts as a final quality control point before you pay the balance of your order cost to your supplier. A pre-shipment inspection lets you identify any issues while the goods are still in China, while the supplier is still waiting to be paid. So you’re in a good negotiating position. Find out more about preshipment inspections. Suppliers in China control costs carefully, so you can expect to pay at least freight on all international samples, and you may need to pay for the sample too. What’s the most realistic approach to the need for samples the first time you source a specific product from China? If the specification is good enough, there won't be any need for samples. If the specification is good enough, we'll only need one sample. Even with a good specification, we're going to need at least 2 samples to get it right. Even with a good specification, we'll probably need 3 to 5 samples to get it right. Unless you’re ordering a single large item like a customised food van, you will always need at least one sample so that you can approve the quality before you start production. In our experience, there’s nearly always something wrong with that first sample. So we plan for at least two. Note that it’s not always – not even usually – the supplier’s fault that the first sample is unsatisfactory. Often our clients are developing custom products, and the specification may change when they see a ‘real’ sample. Other times, the specification tuns out to be inadequate, with some important points just assumed rather than written down. Samples are part of the process for catching and fixing these issues before mass production. Learn more about the role of samples in sourcing from China here. When choosing a supplier, it’s always better to go with a bigger factory, since you benefit from economies of scale. True or false? If you’re going to place big orders, you need a big manufacturer. If your volumes are smaller, that may not work so well for you. You just won’t be important enough to that supplier. They’ll prioritise other clients with bigger orders, who are more important to them. Or they may refuse to take your order at all if you don’t reach their minimum order quantity. If your order is shipped on FOB terms, who bears the cost of loading the goods at the port of export? It’s important to understand shipping terms and what additional costs you can expect beyond your order value. Brush up on the commonest shipping terms here. Approximately what percentage of Australia’s imported goods come from China? Everyone knows that China is Australia’s top trading partner, but media attention often focuses on exports. DFAT figures show that in 2014, China provided 16% of Australia’s total goods and services imports. The value of all imports from China increases around 7% per annum, faster than the 5.6% increase in total value of all imports.